Have you ever been working on a trading assignment on HowTheMarketWorks, only to be frustrated when you want to check your progress on a mobile device? Whether you are trading on an Android tablet, Windows smartphone, or Apple Watch, you can monitor your assignment progress from anywhere! As always, no software to download, app to install, or other restriction between you and your portfolio. 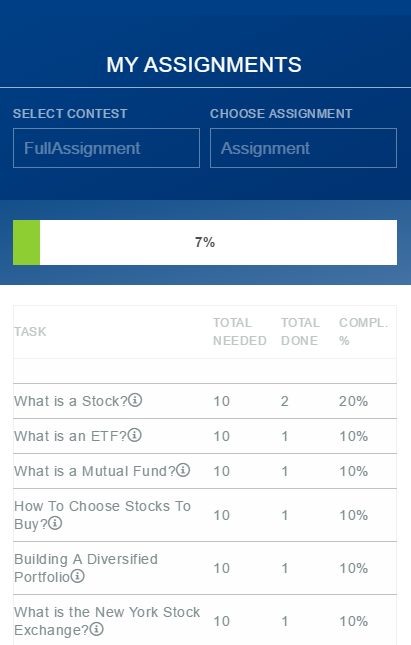 Just log in to HowTheMarketWorks from any mobile device, and select “Assignments” from the main menu!